It’s fall. At least it feels that way. All of a sudden, the bright, dry blaze of summer collapsed into crisp mornings and cool evenings. Is there such a thing as Fall Cleaning? For the first time in my twenty-five years of living here, I have been in a re-organizational flurry, clearing out anything I’m not using, keeping only what I need and/or truly love. Two things triggered this unprecedented energy for simplification: Hopie’s death on August 25, and the Rocky, Valley, Clayton, and other recent miscellaneous Lake County fires. Both death and fire make you think about what’s really important in your life, and I decided that’s all I want to keep. Everything else needs to be where it can be a blessing for someone else. In that context, I want to bless you with the PDF of my newest book which contains years of never-before-seen poems. Nobody saw them because some were rants as I struggled through deaths and other fires of loss. There are Hedy poems, too, and some are funny because guide dogs are funny, at least Hedy is, in her own inimitable way. 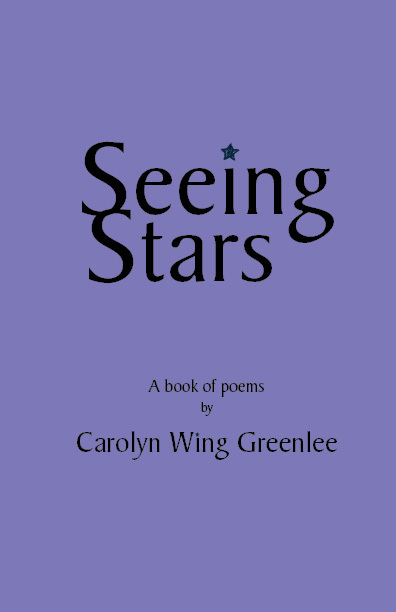 Click on the cover to read Seeing Stars. Thank you for the gift of poems. I’m so sorry to hear about Hope , I know you miss her but the separation is only temporary. You are so right! Just a blink of an eye, a pause, a comma. We will be with those we love, including our beloved animalfamily members. What a generous gift dear Carolyn! i will cherish reading your poems, some heard/read before, maybe, and others kept back till now. 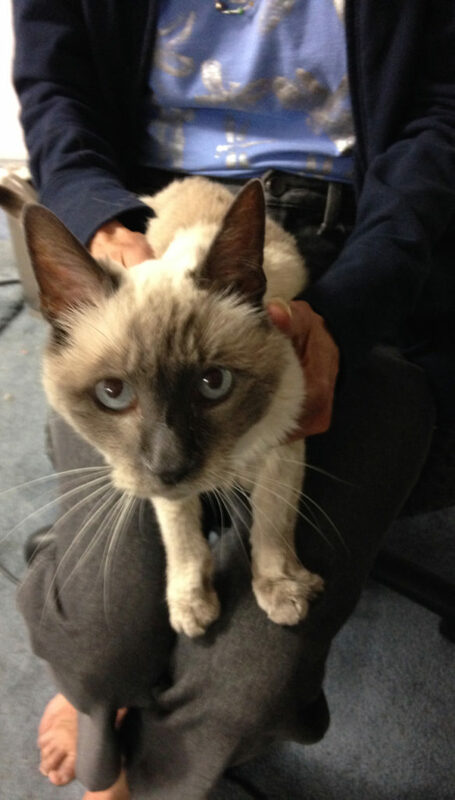 Sad to hear of the death of your lovely Siamese Hope, and thank Dan for the close-up pic of her. She must have been a good age, as all your four-legged friends thrive on your love and skillful care. I am glad you did not need to evacuate from your home this time, but applaud your resolve to simplify its contents. I strive to emulate you! Love and respect, your ‘old’ friend Sandra.